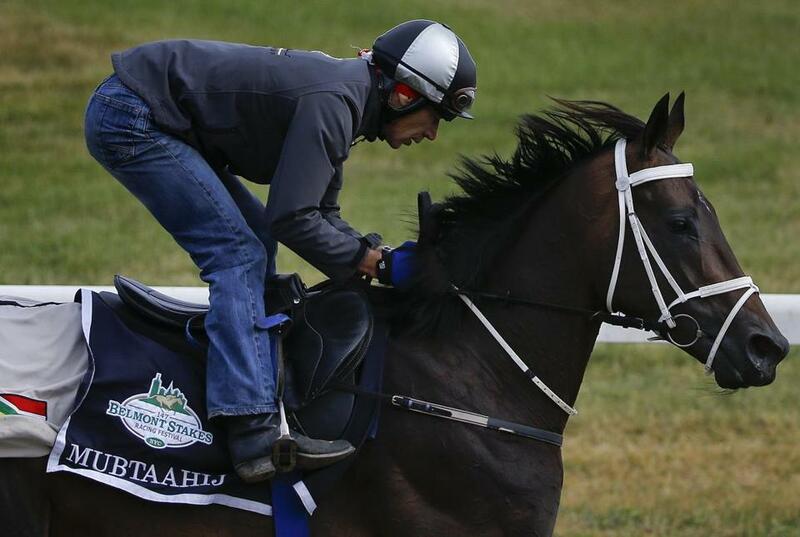 Mubtaahij opened at 10-1 odds for the Belmont Stakes. 1 Mubtaahij Mike de Kock Irad Ortiz 10-1 Finished eighth in the Derby; kind of just galloped around, never really accelerating. He's been stabled at Belmont for a month, working steadily but not quickly. Bred to get the mile and half. 2 Tale of Verve Dallas Stewart Gary Stevens 15-1 The second-place finish in the Preakness should be ignored. He won't hit the board in this race. 3 Madefromlucky Todd Pletcher Javier Castellano 12-1 Futilely chased American Pharoah in the Rebel Stakes and Arkansas Derby, but then won the Peter Pan at Belmont, so he can't be dismissed. 4 Frammento Nick Zito Mike Smith 30-1 Only one lifetime win and has to have a fast pace, and it's doubtful he'll get it. 6 Frosted Kiaran McLaughlin Joel Rosario 5-1 The biggest threat to a Triple Crown. He finished fourth in the Derby, but ran the fastest final quarter mile. He's fresh and has been working well. 7 Keen Ice Dale Romans Kent Desormeaux 20-1 Has won only one race, but is a live long shot. Certainly a horse worth using in exactas and trifectas. 8 Materiality Todd Pletcher John Velazquez 6-1 Never had a chance after missing the break in the Derby and the speed figure guys still obsess over his Florida Derby victory. Very dangerous. Joe Sullivan can be reached at joseph.sullivan@globe.com.